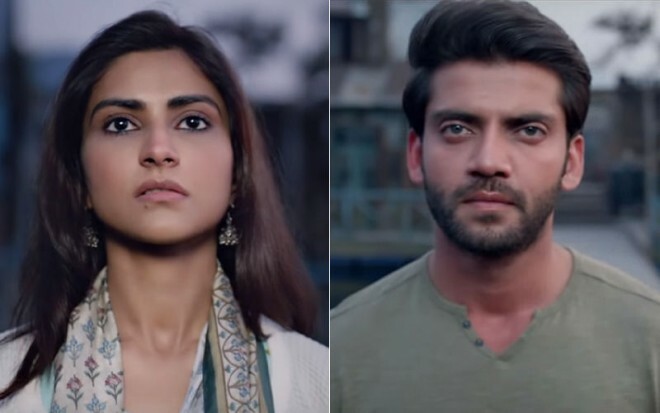 Mumbai, Feb28: After impressing us with the beautiful trailer, the makers of Zaheer Iqbal and Pranutan Bahl-starrer Notebook have released the first song from the film titled Nai Lagda and looks like it is the next potential romantic track on your playlist. The love track starts on a low and soothing note but gains tempo and rhythm as it progresses, keeping you hooked till the last second. The soulful voice and composition of Vishal Mishra perfectly capture the emotions and feelings of Firdaus and Kabir - the protagonists. Looking at the overall packaging of the track, we must say the makers have delivered a visual treat to the audience. Talking about his stint as a debutant, Zaheer earlier said, "I have spent a lot of time on the sets and it has helped me immensely. My advice to anyone who wants to be an actor is that they must go and assist for some time as it does make things little easy. It makes a difference as technically you know certain things like the lens of the camera and you act accordingly. If you know these things it does speed up the process. It is better for the director and actor." Directed by Filmistan helmer, the film is produced by Salman Khan and is scheduled to release on March 29.